To make a compress, soak a clean, lint-free cloth in water and wring it out before applying it gently to your closed eyelids. Generally, a cool water compress will feel the most soothing, but you can also use a warm compress if that feels better to you. If pink eye affects only one eye, don't touch both eyes with the same cloth. This reduces the risk of spreading pink eye from one eye to the other. Over-the-counter eyedrops called artificial tears may relieve symptoms. Some eyedrops contain antihistamines or other medications that can be helpful for people with allergic conjunctivitis. If you wear contact lenses, you may need to stop wearing them until your eyes feel better. 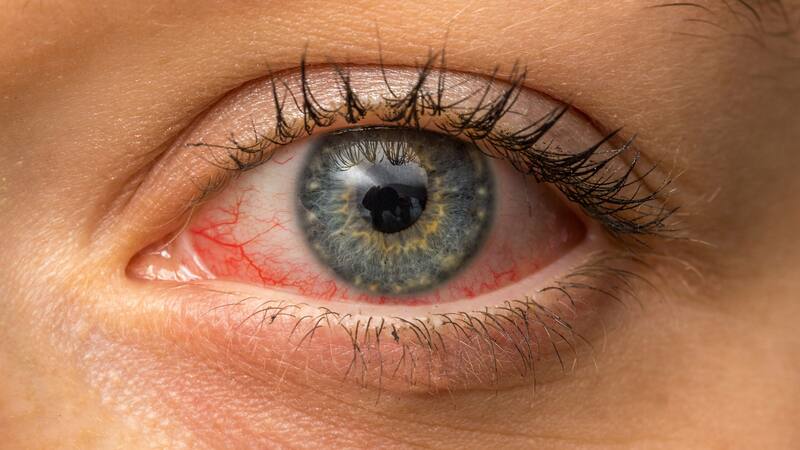 How long you'll need to go without contact lenses depends on what's causing your conjunctivitis. Ask your doctor whether you should throw away your disposable contacts, as well as your cleaning solution and lens case. If your lenses aren't disposable, clean them thoroughly before reusing them.